Today Portworx announced a major milestone in our company’s history. Since launching PX-Enterprise just over a year ago, we’ve acquired more than 30 paying customers — eight of them from the Fortune Global 500 — for our cloud-native storage solution, which we designed from the ground up for containers. Each one of these customers is entrusting us with the most important part of their application, their data, and we take that responsibility extremely seriously. We couldn’t be prouder. To celebrate this milestone, we asked some of our customers what they thought about Portworx, and we’re posting their quotes here. 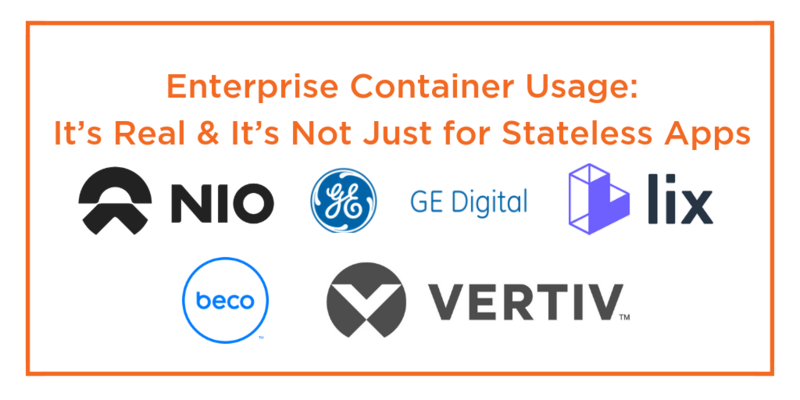 We’ve also provided some specific use-case details from several of our larger customers, so you can get a flavor for how some of the world’s largest users of containers are successfully running databases like Cassandra, message queues like Kafka and Big Data applications like Hadoop in containers today. The best part of working at a startup is the thrill of solving a customer problem. The last year has been full of thrills, and we’re looking forward to even more in 2018. If we can help you, please let us know. We’d like to meet you. NIOis a next-generation car company specializing in electric and autonomous vehicles. Amongst other amazing vehicles, the NIO EP9 broke the existing Electric Vehicle record at Nürburgring’s Nordschleife and has been proven to be the world’s fastest electric car. GE Digital is the software arm of GE. Among other things, it makes Predix, an application platform for the Industrial Internet of Things (think jet engines, not toasters). Vertiv, designs, builds and services critical infrastructure. Beco delivers real-time space analytics to the commercial real estate industry. Jeffrey was kind enough to sit down with us for an interview that appears in our Architect’s Corner series, where we dive deep into the technical aspects of running modern applications with those who are doing the work. You can read the interview here. Lix helps students save up to 60 percent on textbooks by cutting out bookstores and selling digital versions of college textbooks directly to them. Another plus for students – no more heavy backpacks. With on-demand services replacing pre-scheduled content as the preferred way for consumers to access their favorite shows and movies, providing a reliable, always-on way to stream content to homes across the U.S. is a requirement for this Fortune 100 cable provider. To make on-demand video a reality, this company uses Portworx as the data layer for containerized Elasticsearch and ArangoDB, managed by their Kubernetes-based platform. Currently, the customer runs Portworx on-premises but is building its solution to run in any environment, including multiple clouds. The company picked Portworx because it requires the ability to run Elasticsearch on local storage for performance reasons but does not want to pin Elasticsearch containers to single hosts. That limitation removes the automation benefits of Kubernetes and leads to resource contention, since Kubernetes cannot make scheduling decisions based on overall cluster capacity. Now the customer can let Kubernetes schedule Elasticsearch anywhere in the cluster because Portworx provides a cluster-wide data layer to ensure hyper-convergence, blazing performance and availability. This Portworx customer makes some of the world’s best-loved movies and television shows. With increased competition from studios across the world, the customer has invested heavily in developing a movie-making pipeline that lets it fly through the stages of production faster than the competition, matching the studio’s artistic vision and talent with a modern DevOps culture. As the customer standardized on OpenShift Kubernetes, it faced the challenge of finding a cloud-native data layer that would allow it to take advantage of Kubernetes automation without using a centralized storage solution such as a SAN or Ceph, which it considers an anti-pattern for most databases. With Portworx’s distributed block-storage solution, the company was able to run databases such as Cassandra, PostgreSQL and InfluxDB on direct-attached storage and still get the benefits of scheduler-based automation. In addition, Portworx enabled a simple and robust DR solution for PostgreSQL. No one doubts that autonomous driving vehicles will be the norm in the future, but the technical hurdles of making these vehicles safe and reliable are gargantuan. One challenge is how to stream and process the unbelievable amount of video data each car produces on a daily basis. This 12-15 terabytes of data per car, per day, holds great value for machine-learning algorithms that can improve safety, and it must be preserved and stored according to the regulations governing this budding industry. This customer turned to Portworx as a data layer for its Kafka-based streaming engine as well as the storage engine for its batch and machine-learning jobs running in the datacenter. 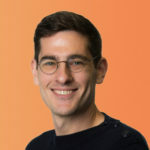 Prior to purchasing Portworx, the customer evaluated popular open-source storage systems including Ceph and Gluster but found they were difficult to manage, consumed too many compute-host resources and lacked the deep and stable scheduler integration that would make these systems easy to use in a containerized environment. Ultimately, the customer chose Portworx due to the stability, ease of use, efficiency, and Kubernetes and DCOS integration the platform provides.